This bodywire can work as an FM room transmitter. FM room transmitters can be placed on surfaces such as tables, desks, countertops, under couches, beds, for operation. The Pager Transmitter is portable and can be taken on multi-surveillance operations without raising attention to targets that their conversations are subject to audio monitoring. 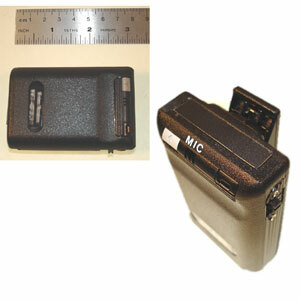 As a bodywire, the Pager Transmitter is an earlier version of our cellular surveillance transmitter, which looks like a cellular phone but actually transmits conversations in the same manner that the Pager Transmitter does.